(2) Tue Dec 27 2011 11:31 CG Author Commentary #5: "Let's Play": After some polite outcry we're back to commentary on Tuesday. I don't have a lot to say about this chapter, and/or I'm fighting off an artisan seasonal cold, so this one's relatively short. I got excited while writing this commentary, because I was going through my earlier drafts and I remembered that Constellation Games has deleted scenes! But then I was a little less excited because the deleted scenes don't start until chapter 25. Let's not think about the deleted scenes for a while. Most of this chapter is new in draft 3. Ariel's dysfunctional relationship with Reflex Games became more important the further I went through the second draft, so I had to add an early scene to set it up. 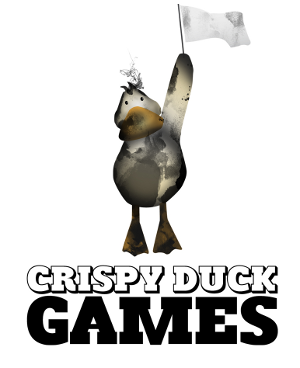 Also missing from the second draft was a sense of how Crispy Duck Games came to be. Crispy Duck was always supposed to be important to the story, but Ariel kept futzing around on side projects until very late in the book. The idea of remaking CDBOEGOACC games didn't come up until chapter 14, and the company name wasn't mentioned until chapter 24! I got rid of one of the side projects (more about this later) and dramatized the creation of the game studio in a way that makes it clear that Jenny is involved in the project from the start. The two new scenes also flesh out some character bits I didn't cover in the second draft: why Ariel thinks the CDBOEGOACC is a gold mine, why others disagree or don't care, and why peoples' objections just make Ariel more determined to prove them wrong. The Reflex scene is supposed to be reminiscent of "Mallory", with the whiteboard gag and the awkward demo. Gatekeeper was mentioned near the end of the abandoned first draft, in a very high-level essay on Farang game design. Around that time my writing group convinced me I needed to write a story instead of a bunch of high-level essays. In the second draft I focused on individual games like Gatekeeper, which let me do exposition while staying true to Ariel's voice. You might have noticed that Gatekeeper is very similar to Pong. I wouldn't be surprised if one of the settings on Atari's Video Olympics was equivalent to Gatekeeper. It's such a simple game we considered implementing Gatekeeper for iOS as a subscription bonus, but... no time! The breakthrough moment for me in understanding Farang psychology was writing Curic's lament about half of a person dying and the other half wanting a refund. Ariel's great-uncle Toby is a Tuckerization of my friend Lucian T. Kahn, but it's also a reference to Tristram Shandy. Now that Ariel has (limited) ability to translate the CDBOEGOACC I can dump all my unused ideas for games/hardware into the Twitter feed! Except that I didn't do that. The stuff you saw last week, the computers powered by pulsars and so on, was all new material. Almost all the stuff going forward is also new. I'm not sure why I reused so little. Partly because the Twitter medium allows for different kinds of jokes, partly because my leftover material wasn't as good as I'd been imagining, but also because it's fun to come up with this stuff. Every game or piece of hardware is a little SF story, a glimpse into an alien culture. And there we go. Tune in next Tuesday for the heart-pounding chapter 6, when Ariel will say, "This form is a fake. There's no Paperwork Reduction Act notice."